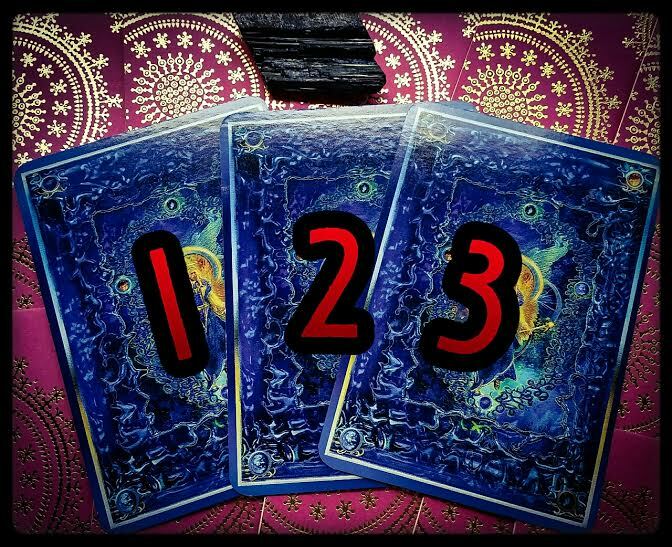 Go ahead and pick a card from above (you can pick one, two or all three cards–pick what you’re drawn to). The stone you see in the picture above is black tourmaline. Black Tourmaline is also a powerful grounding stone, electrical in nature, providing a connection between Earth and the human spirit. Its supportive energy aligns the energy centers of the body and channels healing light throughout the system. It promotes a sense of power and self-confidence, allowing for a clearer, more objective view of the world. It is empowering to those who must live or work in challenging environments or when facing difficult circumstances.If you’d like to learn more about this awesome stone, please go here. 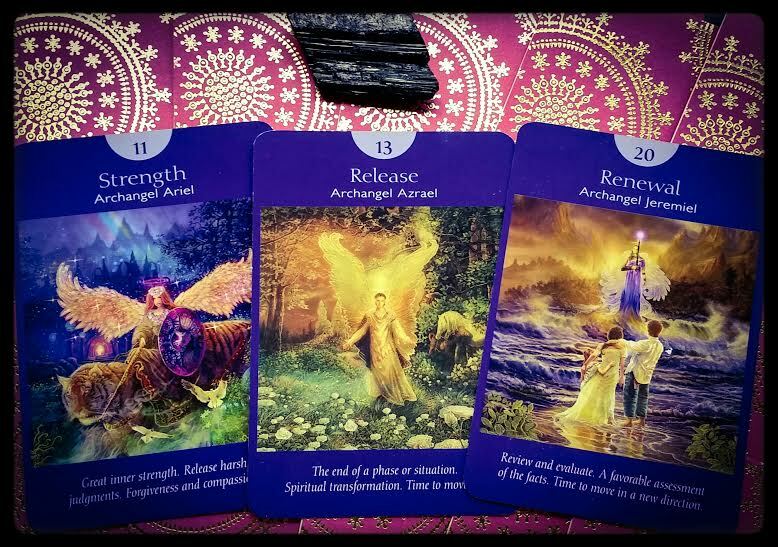 If you chose card #1: Your message this week is about great inner strength. Release harsh judgments. Forgiveness and compassion. Your card goes on to say that this card comes to you because you needed to know that you’re stronger than you realize. You can definitely handle your current situation. However, instead of “powering through it,” you’re better off with an approach of compassion, kindness, and gentleness. The strength that this situation calls for comes from the softness of a spiritual core. Your strength and effectiveness increase as you believe in yourself and your ability to grow from the experiences you have in life. Look upon challenges as opportunities to learn and apply your knowledge and magical touch. Additional Meanings: Patience • Forgiveness • The courage of your convictions • Using honey instead of vinegar. If you chose card #2: Your message this week is about the end of a phase or situation. Spiritual transformation. Time to move on. Your card goes on to say that this card signifies that it’s time to move on because this project or phase of your life is now complete. There’s no benefit in remaining in the situation. Instead, shake off the old and welcome the new! You made experience a sense of relief at the ending, or there may be some sadness. Either way, it’s time to leave that which you’ve outgrown. Take your time in adjusting to this change in your life. It’s not necessary to rush head. Be kind to yourself during this period of transition, and seek the support of friends and family. Additional Meanings: Inevitable positive changes • Facing your fears • Relationship transitions • Spiritual evolution. If you chose card #3: Your message this week is to review and evaluate. A favorable assessment of the facts. Time to move in a new direction. Your card goes on to say that the Angels sent you this card because you’re either near the end of a project or at the crossroads, on the threshold of making an important change. This card signifies that it’s time to review and do some evaluation. Make thoughtful judgments regarding your life, and then make confident choices. Rest easy, knowing that you prepared well. Legal situations are resolved favorably for you. In addition, academic examinations and certification tests go well. Additional Meanings: A landmark decision • A career or job change • Moving in a different direction • A new beginning. My hope for you this week is that you can find a proper way to express your emotions. Sometimes we may be stuck in a thought or action pattern that we’ve always done, even if it’s not helping us grow. Be big enough this week to see that shadow part of yourself. Name it, let it know you see it, then resolve to work on it and grow from seeing yourself as a whole, REAL person. There’s no shame in being true about who you are. The only shame that can occur is when you see something that needs change, but choose to do nothing about it. Great post and very fitting.